Titmouse Nabs Nut, Flees Scene! Doesn’t this Tufted Titmouse look like a little thief, caught in the act? Titmice are in our yard year-round, maybe a bit less in evidence in the warmer months. 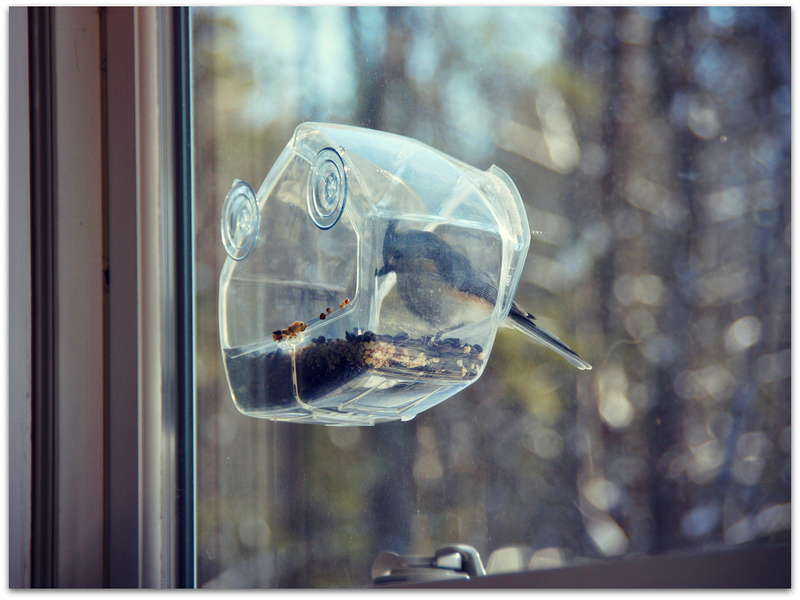 Titmouse in winter, when we have the see-through feeder stuck on the bedroom window. In summer, the screens are up instead. The cat loves it here, of course. 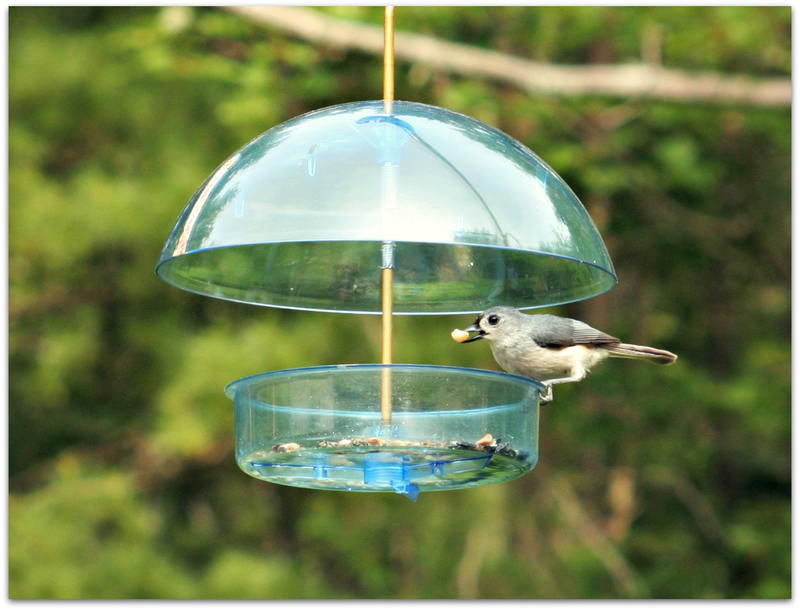 Titmice seem to eat almost any bird food we offer, just like their cousins the chickadees. From All About Birds, Cornell Lab of Ornithology: The large black eyes, small, round bill, and brushy crest gives these birds a quiet but eager expression that matches the way they flit through canopies, hang from twig-ends, and drop in to bird feeders. When a titmouse finds a large seed, you’ll see it carry the prize to a perch and crack it with sharp whacks of its stout bill. May I just say… the writers at All About Birds do a lovely job. This entry was posted in Uncategorized and tagged birds, Tufted Titmouse on July 11, 2014 by Amy.